Match ends, FC Kansas City 1, Houston Dash 2. Second Half ends, FC Kansas City 1, Houston Dash 2. Corner, Houston Dash. Conceded by Alexa Newfield. Attempt missed. Brittany Taylor (FC Kansas City) right footed shot from outside the box misses to the left. Assisted by Mandy Laddish. Offside, FC Kansas City. Becky Sauerbrunn tries a through ball, but Mandy Laddish is caught offside. Goal! FC Kansas City 1, Houston Dash 2. 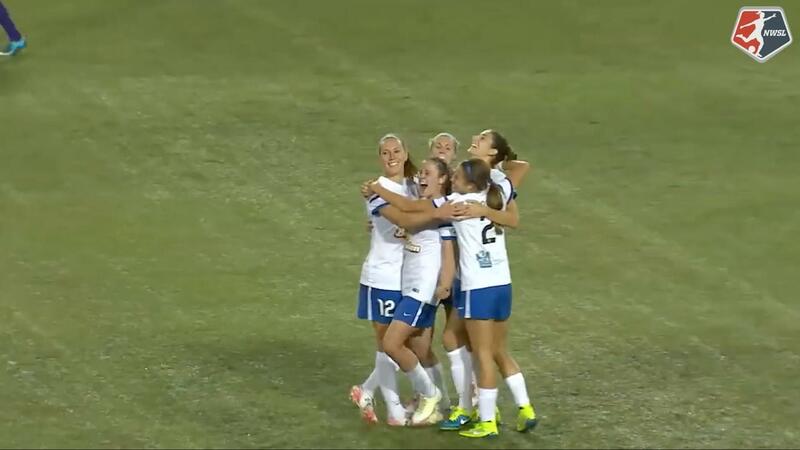 Yael Averbuch (FC Kansas City) converts the penalty with a right footed shot to the bottom right corner. Penalty conceded by Rebecca Moros (Houston Dash) with a hand ball in the penalty area. Substitution, FC Kansas City. Frances Silva replaces Heather O'Reilly. Substitution, FC Kansas City. Alex Arlitt replaces Jen Buczkowski. Substitution, Houston Dash. Cari Roccaro replaces Ellie Brush. Corner, FC Kansas City. Conceded by Ellie Brush. Ellie Brush (Houston Dash) is shown the yellow card for a bad foul. Becky Sauerbrunn (FC Kansas City) wins a free kick in the attacking half. Substitution, FC Kansas City. Alexa Newfield replaces Erika Tymrak. Attempt saved. Kealia Ohai (Houston Dash) right footed shot from outside the box is saved in the top centre of the goal. Assisted by Denise O'Sullivan. Corner, Houston Dash. Conceded by Becky Sauerbrunn. Goal! FC Kansas City 0, Houston Dash 2. Chioma Ubogagu (Houston Dash) left footed shot from the centre of the box to the bottom left corner. Assisted by Rachel Daly. Goal! FC Kansas City 0, Houston Dash 1. Denise O'Sullivan (Houston Dash) left footed shot from a difficult angle on the right to the bottom left corner. Assisted by Chioma Ubogagu. Substitution, Houston Dash. Kealia Ohai replaces Janine Beckie. Attempt missed. Rebecca Moros (Houston Dash) right footed shot from outside the box is high and wide to the right. Assisted by Andressinha following a corner. Corner, Houston Dash. Conceded by Nicole Barnhart. Attempt saved. Rachel Daly (Houston Dash) right footed shot from the right side of the box is saved in the bottom left corner. Assisted by Chioma Ubogagu with a headed pass. Rebecca Moros (Houston Dash) wins a free kick in the defensive half. Heather O'Reilly (FC Kansas City) wins a free kick in the attacking half. Mandy Laddish (FC Kansas City) wins a free kick in the attacking half. Foul by Rebecca Moros (Houston Dash). Offside, Houston Dash. Denise O'Sullivan tries a through ball, but Chioma Ubogagu is caught offside. Corner, Houston Dash. Conceded by Brittany Taylor. Second Half begins FC Kansas City 0, Houston Dash 0. Substitution, Houston Dash. Denise O'Sullivan replaces Morgan Brian. First Half ends, FC Kansas City 0, Houston Dash 0. Rachel Daly (Houston Dash) is shown the yellow card for a bad foul. Heather O'Reilly (FC Kansas City) wins a free kick on the right wing. Corner, FC Kansas City. Conceded by Poliana. Attempt missed. 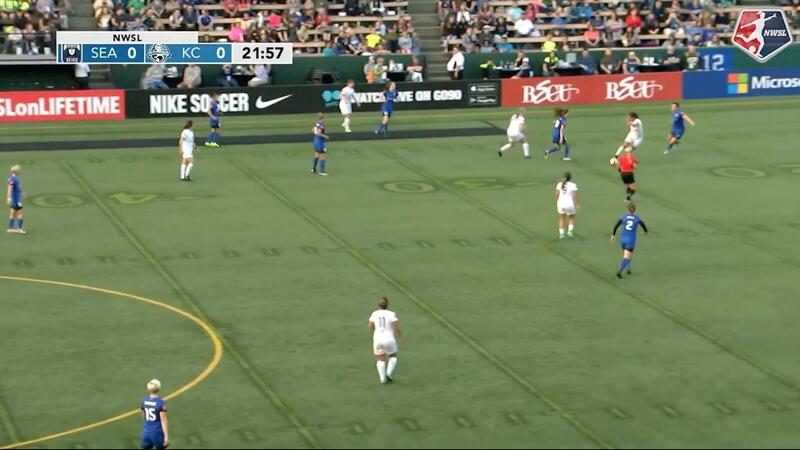 Shea Groom (FC Kansas City) left footed shot from the centre of the box is close, but misses the top left corner. Assisted by Jen Buczkowski. Attempt missed. Rachel Daly (Houston Dash) left footed shot from outside the box is too high. Assisted by Chioma Ubogagu with a headed pass. Attempt missed. Yael Averbuch (FC Kansas City) right footed shot from outside the box is too high. Attempt saved. Mandy Laddish (FC Kansas City) right footed shot from outside the box is saved in the top right corner. Attempt blocked. Rachel Daly (Houston Dash) right footed shot from outside the box is blocked. Offside, Houston Dash. Morgan Brian tries a through ball, but Rachel Daly is caught offside. Attempt saved. Poliana (Houston Dash) right footed shot from long range on the right is saved in the centre of the goal. Assisted by Andressinha. Corner, FC Kansas City. Conceded by Amber Brooks. Attempt blocked. Jen Buczkowski (FC Kansas City) right footed shot from outside the box is blocked. Attempt saved. Allysha Chapman (Houston Dash) left footed shot from the left side of the box is saved in the centre of the goal. Assisted by Rachel Daly. Offside, Houston Dash. Rachel Daly tries a through ball, but Janine Beckie is caught offside. Foul by Jen Buczkowski (FC Kansas City). Corner, FC Kansas City. Conceded by Lydia Williams. Attempt saved. Mandy Laddish (FC Kansas City) right footed shot from outside the box is saved in the top left corner. Assisted by Desiree Scott. Attempt saved. Shea Groom (FC Kansas City) header from the centre of the box is saved in the centre of the goal. Assisted by Erika Tymrak with a cross. Attempt saved. Shea Groom (FC Kansas City) header from the centre of the box is saved in the top centre of the goal. Assisted by Jen Buczkowski with a cross. Offside, Houston Dash. Allysha Chapman tries a through ball, but Chioma Ubogagu is caught offside. Attempt missed. Shea Groom (FC Kansas City) left footed shot from the centre of the box is too high. Assisted by Heather O'Reilly. Attempt blocked. Andressinha (Houston Dash) right footed shot from outside the box is blocked. Assisted by Rachel Daly. Attempt missed. 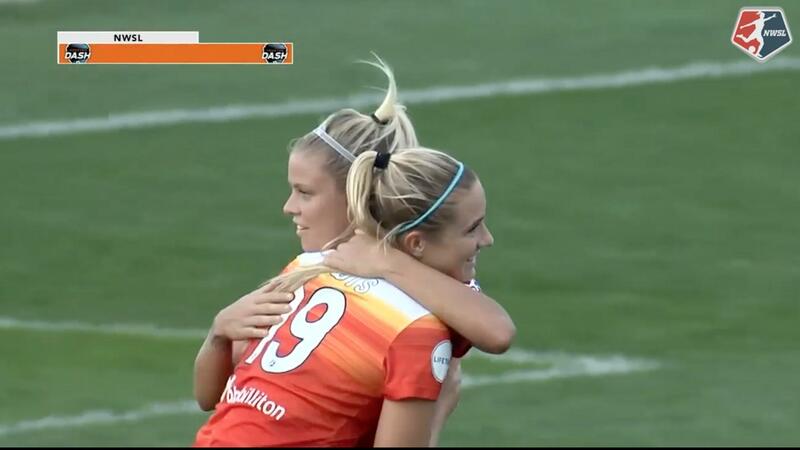 Rachel Daly (Houston Dash) left footed shot from the left side of the box is just a bit too high. Assisted by Chioma Ubogagu.